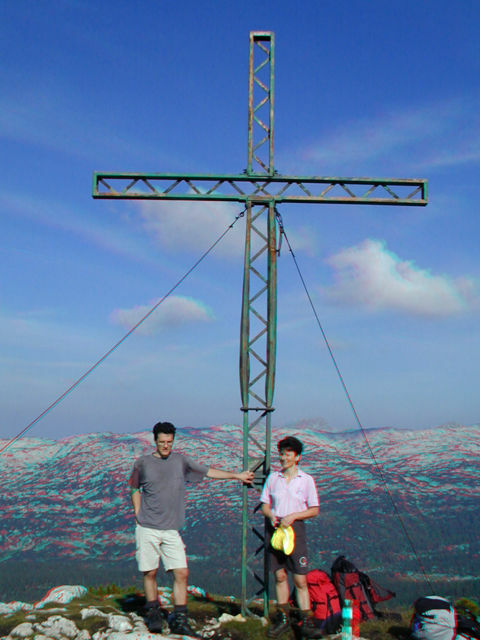 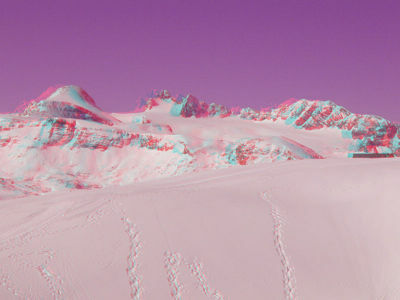 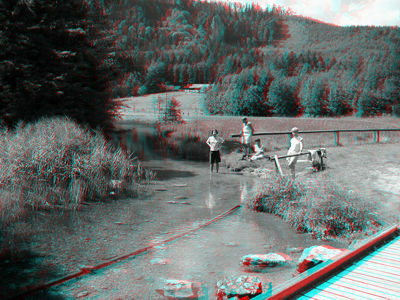 This page compares several anaglyph methods. It gives the formulas to calculate the anaglyph's RGB values ra, ga and ba from the RGB values of the original left (r1, g1, b1) and right images (r2, g2, b2). The formulas must be applied for each pixel. Click on the sample images to enlarge them. In addition, we applied a gamma correction (gamma value 1.5) to brighten up final red channel ra. 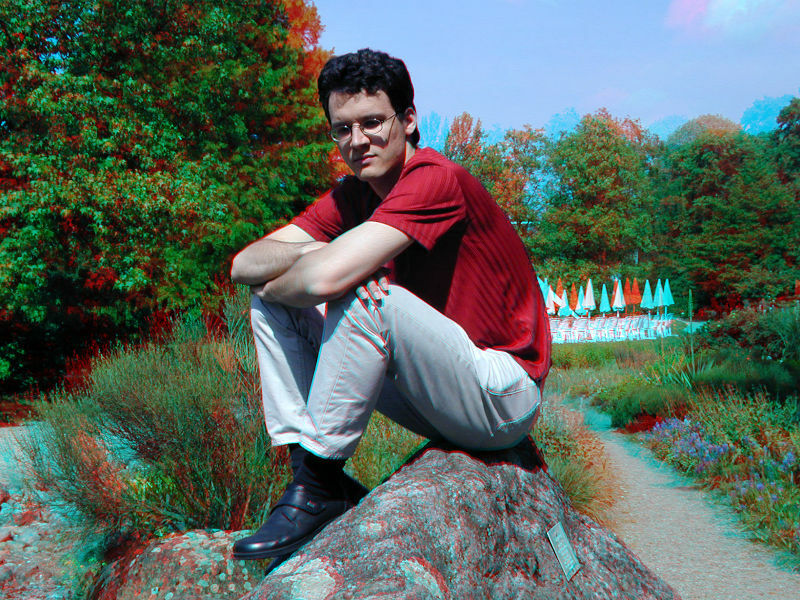 Stereoscopic Player implements a further improved algorithm which partially maps the red channels to green and blue before applying the above formula. When we talk about retinal rivalry, we just mean the retinal rivalry caused by brightness differences of colored objects. Of course there is an additional form of retinal rivalry, independently of the anaglyph method used: retinal rivalry caused by the different color channels perceived by left and right eye. Here is another sample image.